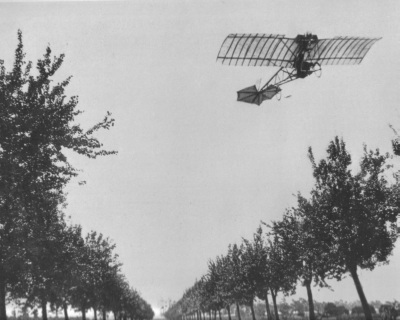 In an old post about French aviation pioneers I had already written about René Fonck. 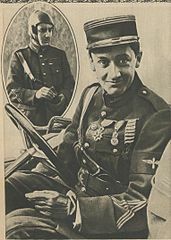 He was the top French (and allied) ace during WWI, second only to the Red Baron, Manfred von Richthofen. In a previous post I wrote about the Musée de l’Air et de l’Espace, in Le Bourget. In that museum you may find a section dedicated to WWI aces. There is an article in the Wikipedia about WWI aces. Figures with the top 2 aces match: 80 for the Red Baron and 75 for Fonck, not so for the 3rd, as in the museum Mannock is credited with 73 and in the Wikipedia is only credited with 61, even if the claim of 73 is referenced. Despite of the fact that aviation has just over a century of history, I find that there are lots of controversies as to the history of aviation, while it should ideally be rather easy to get the facts right with the information technologies at our disposal nowadays and possibly having the records of the different happenings still in existence. We are not talking about archaeology here. At this respect, museums play an important role in trying to get history right. In relation to the aces and the official figures about the 2 top aces, the museum in Le Bourget seems to get them right. The 3rd ace seems not to be so correct, but this does not bother me. What bothers me is the reference attached to Fonck’s victories tally in the panel at the museum, which claims that counting not officially recognised victories the tally could reach 127 (from 75 official ones). The museum then fails to mention that von Richthofen also has a number of claimed victories unaccounted for. What is the role of the museum here? Trying to educate and teach about aviation, convey some history facts or rather play a game in such a way that a French ace seems to be on top no matter what? I would expect more fact-based independent treatment of information on the part of museums and historians.